Danielle Napier - skatemorrisburgs jimdo page! Since beginning my love affair with figure skating at the age of 3, this sport continues to play an important part in my life. When my time on the competitive circuit concluded, I felt compelled to share my experiences and skills with those that were similarly passionate about the sport. 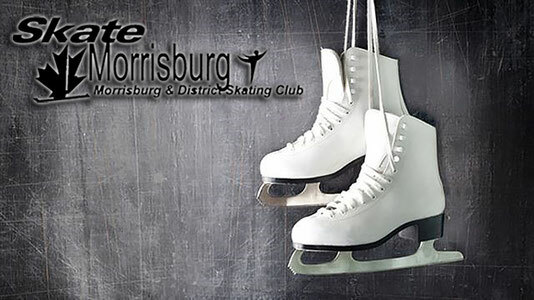 I joined the Morrisburg & District Skating Club (MDSC) during the 2003/2004 season as a professional coach. During my time at MDSC I have thoroughly enjoyed getting to know and work with the skaters of all ages and skill levels and grateful for the opportunity to foster their development. Having two daughters who love to skate and compete has reinforced my desire to remain associated with this amazing sport. Along with coaching, I work in Ottawa as a Dental Hygienist. 15 years of professional coaching experience. Experience working with many ages and levels for private, semi-private and group lessons at levels ranging from Preliminary to Gold. Experience coaching skaters at a range of competition levels (recreational, interclub, EOSIC and All-Ontario Provincial STARSkate Championships). Coached the "Preliminary" gold medalist at the 2007 EOSIC. Have helped implement the new CanSkate program into the Morrisburg & District Skating Club. Helped to organize material and conduct Program Assistant training for our club. Sept. 28/15 STAR 1-5 Coach Seminar. STAR 1-5 Online training module (August 2016). STAR 1-5 Assessor Trained (November 2016). Coached the "STAR 7" bronze medalist and "STAR 8" silver medalist at the 2017 EOSIC. STAR program seminar with Karen Preston (March 2017). Provincial Coaching course for Pairs & Synchronized Skating (London, ON July 2017). Freeskate, Skating Skills, Choreography, Stroking, Interpretive, Ice Dance, Off-ice Programs.